It's been a while since i'm post something. 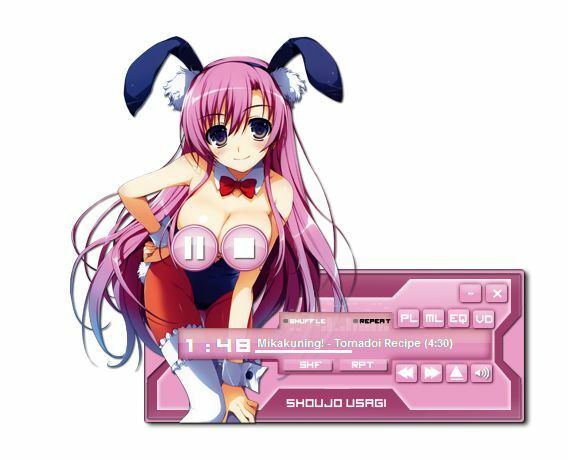 Today ,i will post Bunny Girl winamp skins. This skins actually my work from 4 years ago ,and i'm modified a bit last week.This skin quite special (i'm sure you know ) and i hope you are enjoy skins. If you like style of this image,you can take a look in google with keyword "Tomose Shunsaku" since she/he is who make this character.